BBPOS is proud to announce that WisePad™ 2 has gone through the Common Criteria (CC) evaluation process and is now the first BBPOS product to be awarded Common.SECC Certification. This rigorous process identifies the areas where a Point of Interaction (POI) product can be compromised and then exploited. This certification helps ensure that the environment(s) where a device and/or software is designed, developed, produced, stored, transported, or sold is secure. The goal is to eliminate security risks in the financial transaction chain. The CC evaluation process examines the entire life-cycle of a POI product to determine if the device is secure before it is active and while it is in service. Common.SECC Certification is a critical step in expanding our business into the United Kingdom and other European Union countries. This certification acknowledges and readily identifies BBPOS as a reputable and reliable technology provider in the mobile point of sale (MPOS) industry. Because Common.SECC certificates are issued for a specific POI, within a specific version of hardware and/or software, BBPOS applied for WisePad™ 2 Plus evaluation separately. We expect certification for WisePad™ 2 Plus to follow shortly. For a copy of the Letter of Acceptance (LoA), please contact your BBPOS Sales Executive or email us at sales@bbpos.com. During the recent Symposium on Innovation and Technology 2017 BBPOS executives and technology captured the attention of Carrie Lam Cheng Yuet-ngor, Chief Executive of the Hong Kong Special Administrative Region. Lam first became aware of BBPOS technology and met team members during the Hong Kong Electronics Fair (Autumn Edition). While touring the Tech Hall and Startup Zone with Margaret Fong, Executive Director of the Hong Kong Technology Development Center (HKTDC), Lam made a stop at the BBPOS kiosk despite limited time and a tight schedule. Although it was no surprise, it was a great honor for BBPOS’ CEO Alex Choi, CTO Ben Lo, and our team to have a dignitary of Mrs. Lam’s stature head straight to the BBPOS kiosk after delivering opening remarks for the Symposium on Innovation and Technology 2017. Choi and Lo greeted Lam and enjoyed a very cordial conversation with her, before offering a comprehensive overview of BBPOS’ history, including key points about the development of our technology and our reputation for cutting-edge innovation. BBPOS is pleased to announce the release of WisePOS™ 4G — our most recent upgrade of this compact and lightweight device. As current customers know, WisePOS™ is extremely portable — it can be carried in a pocket, vest, or apron. 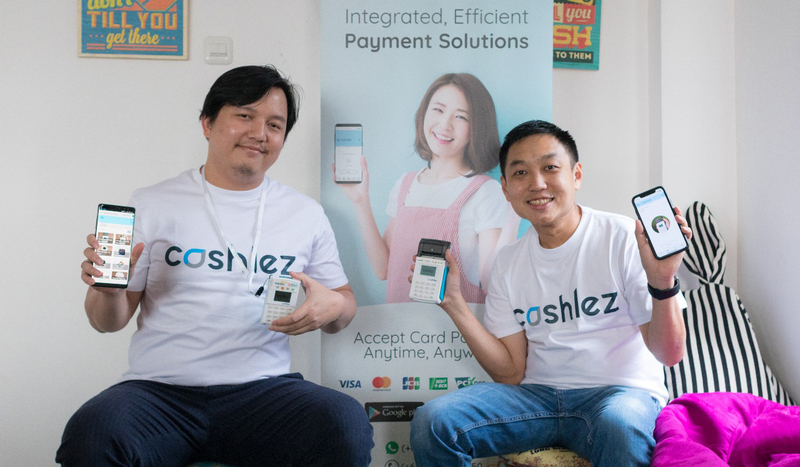 This lightning-fast, Android-based mPOS powerhouse has the mobility and flexibility to run rapid transactions on the go. 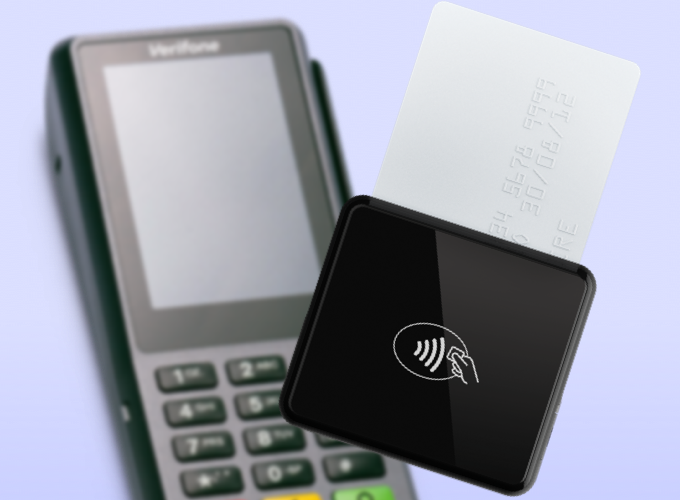 The WisePOS™ 4G upgrade increases the capabilities of one of the most powerful and flexible mPOS devices in the industry. WisePOS™ 4G provides an array of payment options including magstripe, EMV, and NFC card readers as well as a barcode scanner and a 5 megapixel camera. The Android 7.0 system allows superior flexibility to develop and use customized applications, and supports an integrated mPOS platform. Despite the extraordinary capability of WisePOS™, our customers asked for more — and our innovative team of engineers delivered — bringing enhanced design, functionality, and speed to V.2. The most impressive upgrade: WisePOS™ 4G has 4G technology and a faster CPU, which allows for “superfast” transaction processing and reliability. This technology supports quick and easy exchange of back office functionality and data as well new possibilities like high-quality visuals for retail inventory and restaurant menu display. The added power and flexibility in this upgrade, combined with the device’s innate mobility, will continue to boost the BBPOS brand and reputation as an innovator in mPOS systems. The release of WisePOS™ 4G enhances the line of innovative products we offer our clients, and helps propel the entire industry forward. BBPOS recently presented at the prestigious Thales APAC Channel Partner Conference. The Thales conference draws leaders from five keys sectors: aerospace, space, ground transportation, defense, and security—the industries Thales serves--as well as technology professionals from various channel partners. The conference focuses on technology topics, trends, and concerns that challenge businesses in a world that is increasingly mobile, interconnected, and interdependent. BBPOS was the only partner in the payments industry channel invited to exhibit at the event. BBPOS earned this opportunity as a recognized technology innovator in the payments industry channel. President and CEO, Alex Choi, and Chairman and CTO, Ben Lo, led a dynamic session highlighting BBPOS’ accomplishments and supporting BBPOS’ position as a leader in mobile payments (mPOS) technology. Choi and Lo underscored the company’s reputation as a team of world-class engineers known for innovation and forward-thinking. The BBPOS team also networked with key decision-makers and demonstrated cutting-edge mPOS products in our exhibit space. The conference ran September 5-7th in Taiwan, Taiwan.